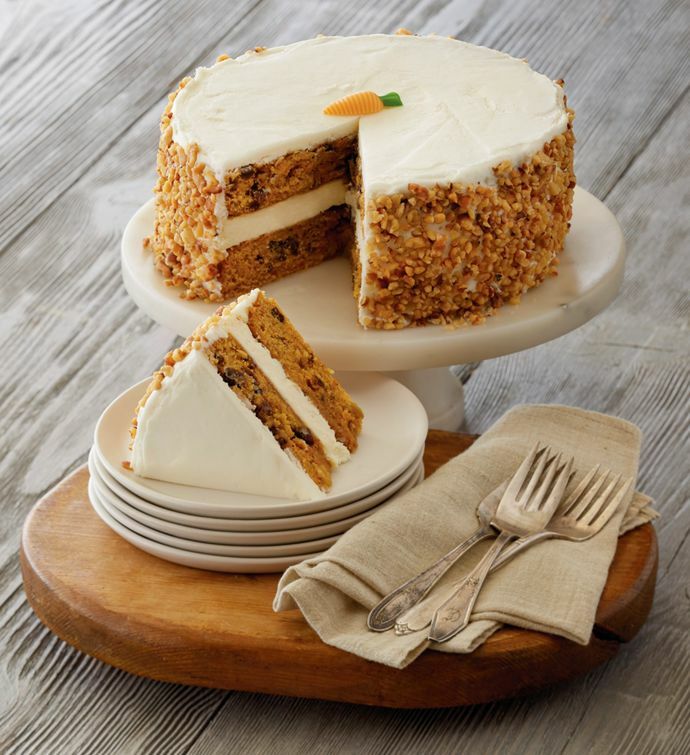 This amazing cake consists of two layers of our original carrot cake, made with the perfect blend of spices along with chopped walnuts, raisins, and one layer of our famous New York-style cheesecake. It's made right here in our bakery, frosted by hand with cream cheese frosting and decorated with roasted walnut pieces and sugar carrots. Moist and delicious, this decadent delight is perfect for any celebration and certainly lives up to its name.